The word ALMANAR directly translated means HIGHLIGHT, so make our exclusive Shamadane the most memorable part of your show or presentation. 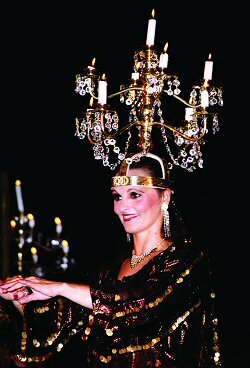 The ALMANAR SHAMADAN are made in Egypt and designed by the World-renowned dancer and choreographer Sonia Asmahan. The Sparkling Highlight of your Show! Don´t hesitate! – Order Now!